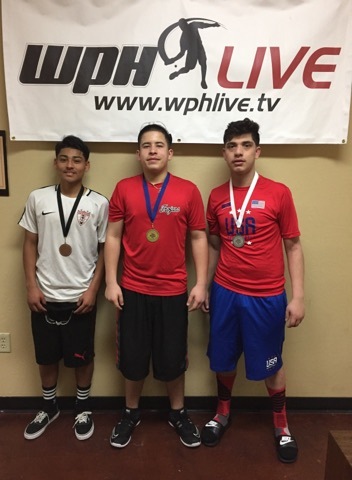 Stockton, CA, WPH Press, 1/29/18- The 2018 WPH Iceman featured several dozen jr handball stars from NORCAL & SOCAL competing in three junior singles brackets. The youngsters took center stage alongside the elite WPH Outdoor stars at the Iceman, displaying exceptional skills and sportsmanship in Stockton ’s biggest event. Junior national champion David Sanchez iii added another trophy to his mantle, winning the 19 and under singles, Louis Montes, Jr. picked up his first JR WPH singles title in the 15 and under, while Tristen Hernandez captured the 10 and under singles. 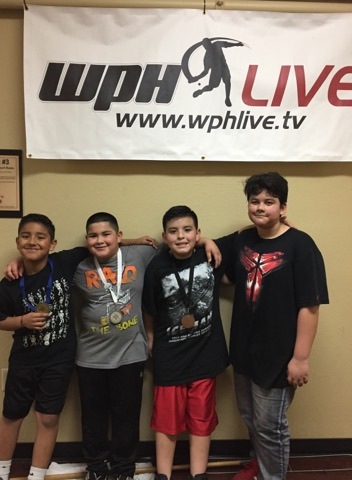 Thank you to IceMan tournament director and WPH ambassador Angel Hernandez for providing the youngsters with an opportunity to compete and have fun at the ’18 Iceman.